Reverse flows of Russian gas from some of the European countries like Slovakia and Poland are neither legal nor viable, experts tell RT. 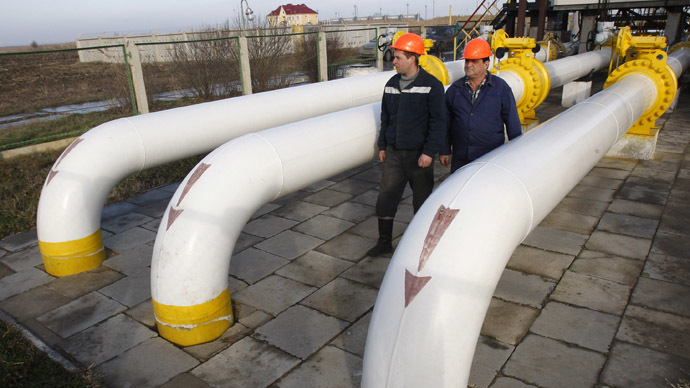 The comments follow Ukraine’s claims it’s going to use reverse schemes, after Gazprom cut its supplies. On Monday, Russia switched Ukraine to a prepayment system for gas supplies, saying it wouldn’t send gas directly unless it paid its $4.5 billion debt in full. Ukraine has responded by saying it could receive up to 20 billion cubic meters in reverse flow from neighboring Slovakia, Poland and Hungary, a practice Gazprom and RT experts doubt is legal. “It depends on the contracts between Gazprom and the European recipient. As far as we know, there is a non re-export clause that means gas received in Europe should actually be utilized in Europe for downstream purposes, it shouldn’t be re-exported, there is strong legal question there,” Marat Terterov, Executive Director of the Brussels Energy Club, told RT. One of the main, and most simple stumbling blocks, is the contract itself, which doesn’t allow the importing countries to redistribute the supplies as they please. “A lot of this gas is Gazprom gas being delivered to the EU and it may be outside of the legal abilities of EU customers to de facto export that back to Ukraine,” Terterov said. The next big hurdle is Ukraine’s position as a non-EU member state, and the European Commission’s jurisdiction over it. At present, neither body has any official precedent in how to deal with the situation. “Oriented towards mitigating the energy security concerns of the East EU members, they are not intended to mitigate the concerns at the energy security level of a non-EU member such as Ukraine,” Terterov said. 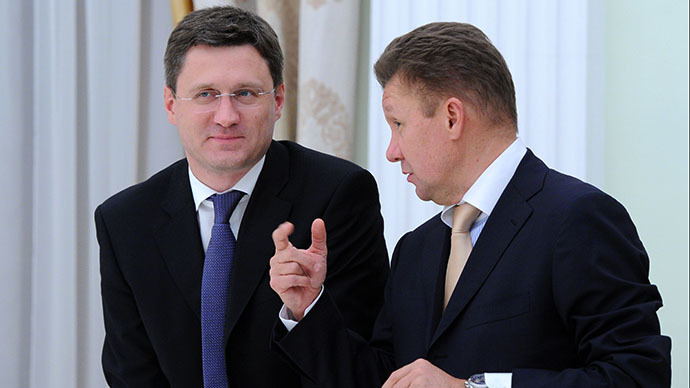 Brussels will therefore have no choice but to leave discussions between Gazprom and Naftogaz. In 2013 Ukraine imported 27.7 billion cubic meters of gas from Gazprom, and as of Monday, it has 14 billion cubic meters (bcm) of natural gas stored in underground facilities, much of it unpaid, five-months’ worth, by the estimate of Richard Wellings, Deputy Editorial Director of Economic Affairs of Great Britain. Gazprom Deputy CEO Vitaly Markelov has estimated Ukraine needs 18.5 bcm of gas to keep the heat on until December. “You hear noises from within the EU that there is technical capacity to deliver volumes of between 5-10 bcm of gas. I don’t think those volumes are more than 5-10 bcm and Ukraine’s annual needs are something in the range of 25-35 bcm, this is less than a quarter,” Terterov explained. 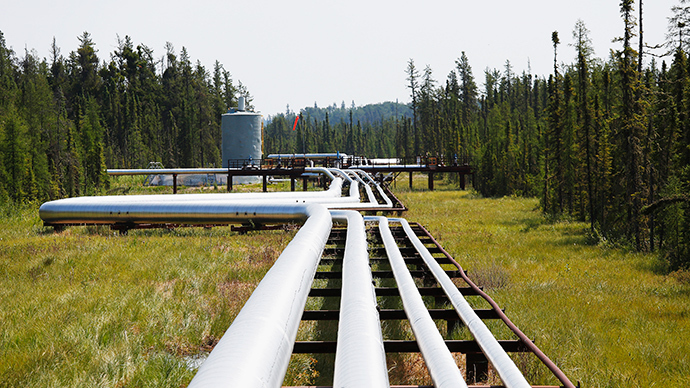 In April Ukraine announced a deal to import 3.2 billion cubic meters of gas from Slovakia as well as a deal to import 10bcm from German oil and gas company RWE. Neither of these agreements is finalized. The European Commission convened a crisis meeting on Monday following Gazprom’s decision to stop deliveries to Ukraine in order to plan the next step for Europe, which is dependent on Russian national gas, sourcing 25 percent from Russia. 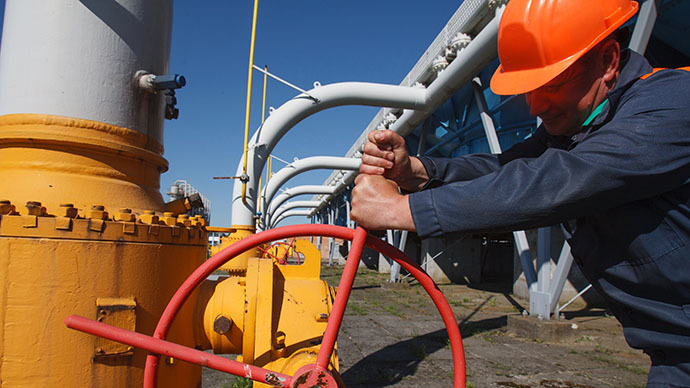 The last gas row between Russia and Ukraine resulted in an increase in gas prices. Another spike could hit the EU economy when it is already facing high unemployment and the threat of deflation. “This is going to be hugely worrying for European Union countries that rely so heavily on Russian gas. We’ve already seen today a crisis meeting of the European Commission,” Richard Wellings told RT. Gazprom said they will still ship 180 billion cubic meters of European bound gas through Ukraine, and warned Kiev not to steal any along the way, which it did in 2006 and 2009 in a similar gas row with Russia. “Like the previous two times, Ukraine will simply siphon off that gas, which will cause some problems in Europe which will further encourage the Europeans to be forced to eventually start buying very expensive American gas as well, that’s all part of the business plan,” former British diplomat William Mallinson told RT on Saturday. The breakdown in gas talks further strains the already icy diplomacy between Moscow and Kiev, and doesn’t bring any certainty to Ukraine’s energy future.